Niigata’s Sado Island becomes the stage for a high-energy performance of taiko (Japanese drums) this weekend. 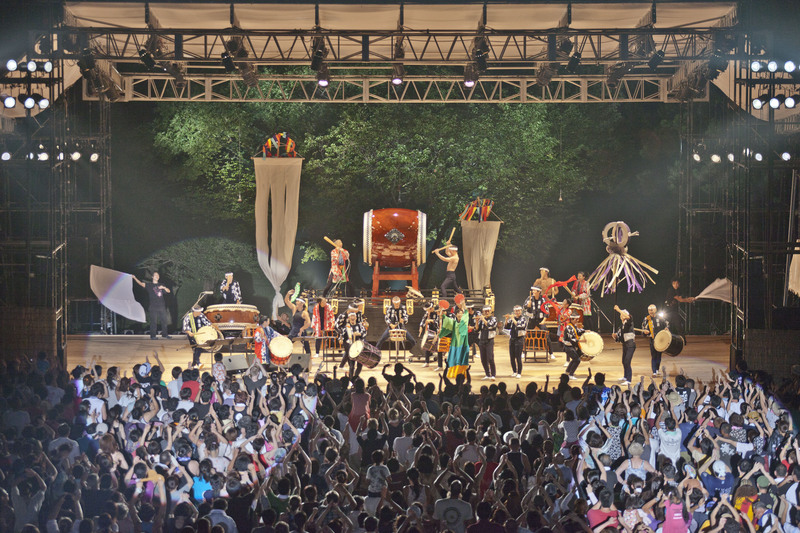 Kodo, Japan’s most famous taiko troupe, will host Earth Celebration, an annual music festival in the town of Ogi on Sado Island from Aug. 17-19. The Opening Night on Aug. 17 will be directed by Shogo Yoshii, Kodo’s artistic director. Yoshii’s main goal, according to festival organizers, was to create a performance where the audience and performers feel as one. The Dadan EC Special on Aug. 18 is a performance that features the musicians pushing themselves to their physical and mental limits. Kodo drummers live on Sado Island and undergo rigorous training in order to be a part of the troupe. This year, the Dadan performance was shown to Parisian audiences for four sold-out gigs at the Theatre du Chatelet. “Dadan” means “beating man,” and it is directed by Tamasaburo Bando, a kabuki actor and a government-designated Living National Treasure. For Shukusai, which means “celebrative festival,” on Aug. 19, Kodo will collaborate with Hiromitsu Agatsuma, a leading shamisen musician. 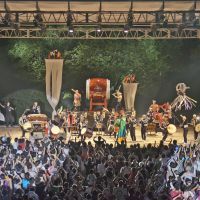 In addition to the taiko concerts, there are many other musical and cultural events that will take place under the banner of Earth Celebration. To get to Sado Island, you can choose one of three ferry services in Niigata Prefecture. The best option to get to the venue at Shiroyama Park is to take the ferry to Ogi Port. The park is only a five-minute walk from the port. Earth Celebration takes place at Shiroyama Park on Sado Island, Niigata Prefecture, on Aug. 17-19. Admission costs ¥5,000 for Opening Night and Dadan EC Special, and ¥5,500 for Shukusai. For more information, visit www.kodo.or.jp. For information on accommodation, visit www.visitsado.com.